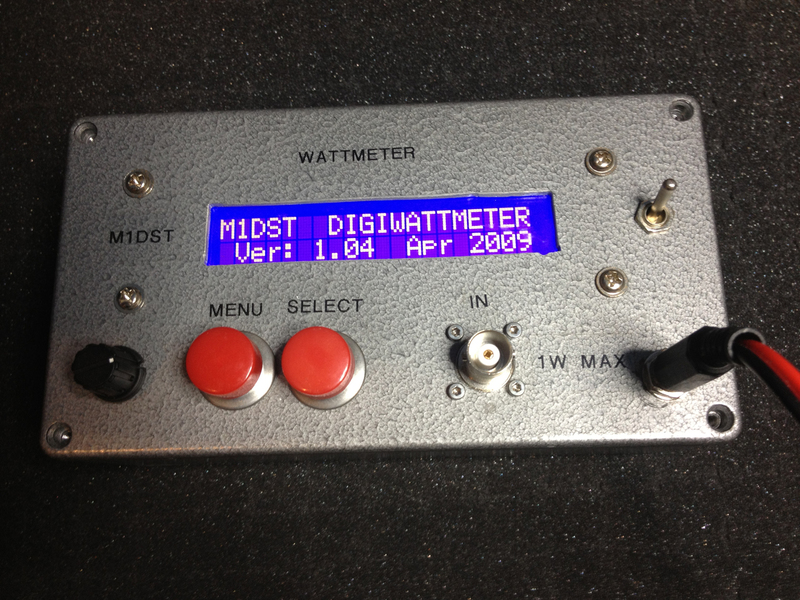 Back in 2008 I was introduced to a low power RF wattmeter from a member of our club. I decided to build one and in April 2009 I completed my build. It was my first project using SMT and I loved every second of learning how to solder such small components. 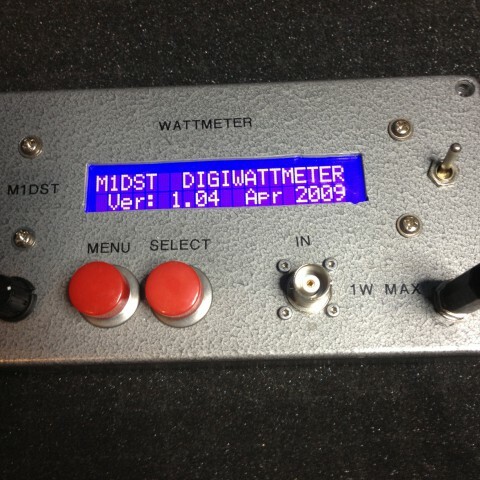 A wattmeter can be used to measure gain in amplifiers, bandwidth in filters, field strength from antennas, transmitter power, SWR, return loss and many other things. 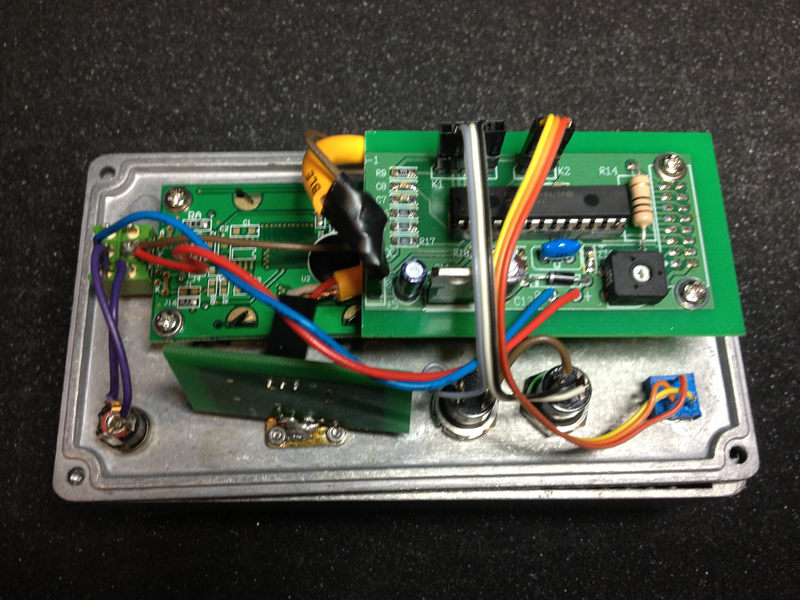 This RF wattmeter uses an AD8307 to measure the power level. The AD8307 front end circuit is both frequency compensated and optimised for return loss to give optimum input SWR over a wide frequency range. A PIC16F876 with built-in 10-bit analogue to digital converters is used to convert the analogue voltage output from the AD8307 into digital values. 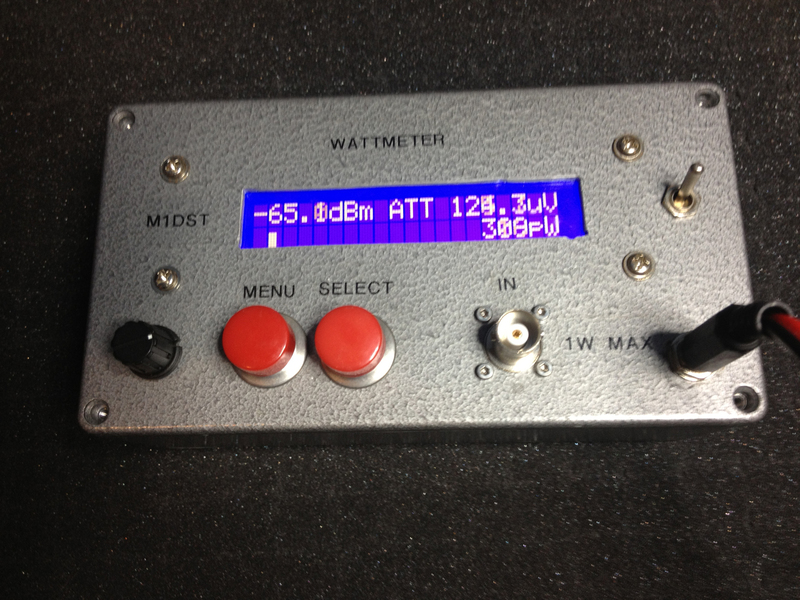 Next, a set of lookup tables are used to convert the dBm values into RF voltage and RF power (watts). 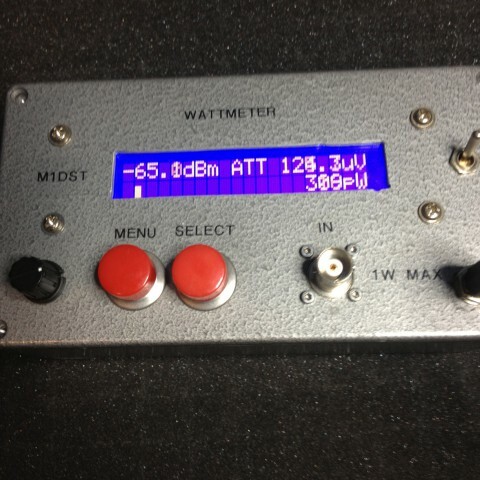 The meter was designed by OZ2CPU and he has extensive information about it on his website. The uncalibrated signal response is: +1/-1 dB from 1MHz to 450MHz. Input SWR vill vary from 1.00 to 1.30, depending on input frequency. A software routine can calibrate the 0dBm point at 5 different frequencies to make this instrument accurate within 0.5dBm. 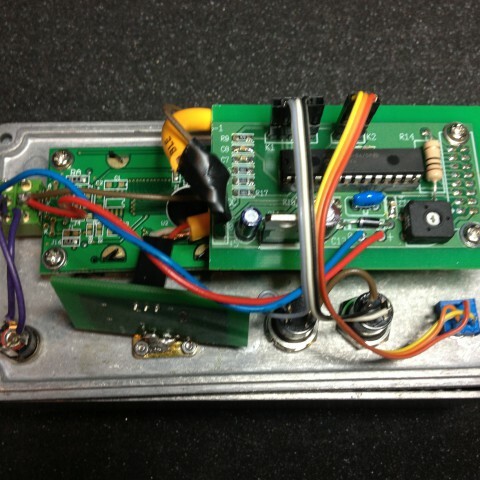 It is possible to buy a PCB from Elektor magazine if you don’t fancy making the PCB yourself. I wouldn’t bother with the pre-programmed PIC if you decide to build this as new firmware is available from the OZ2CPU website and they might not be selling that version.